Tea Beverage Filling Machine The tea beverage filling machine adopts the card bottleneck transmission technology to realize automatic rinsing, filling and capping processes with high degree of automation. It is equipped with a complete temperature control system and a recirculation system, and has a complete automatic cleaning system and control program. The whole beverage machinery and liquid contact parts are all made of high-quality stainless steel materials and food grade rubber. 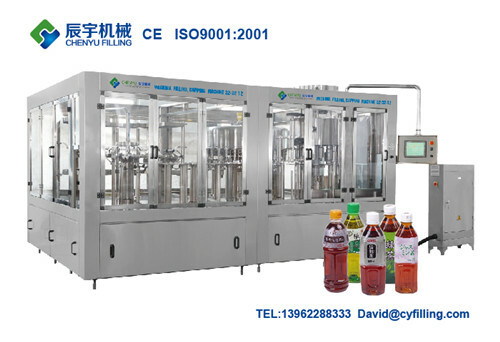 The series of bottled tea filling machines are suitable for the filling of black tea, green tea, lemon tea, milk drinks and other beverages. 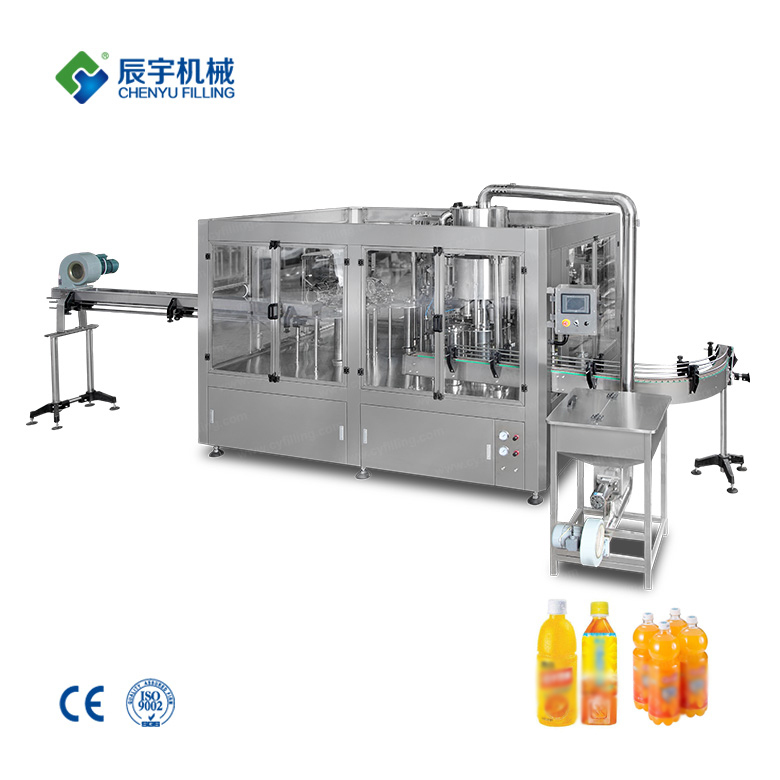 Chenyu Beverage Packaging Machinery has many years of experience in the manufacture of tea beverage machinery. 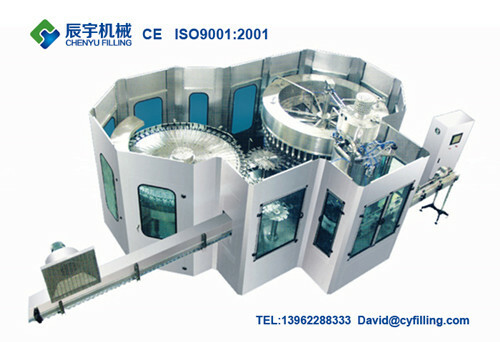 The tea set production equipment is easy to operate, automatic and efficient. The series tea beverage machinery can produce all kinds of black tea, green tea and lemon tea. 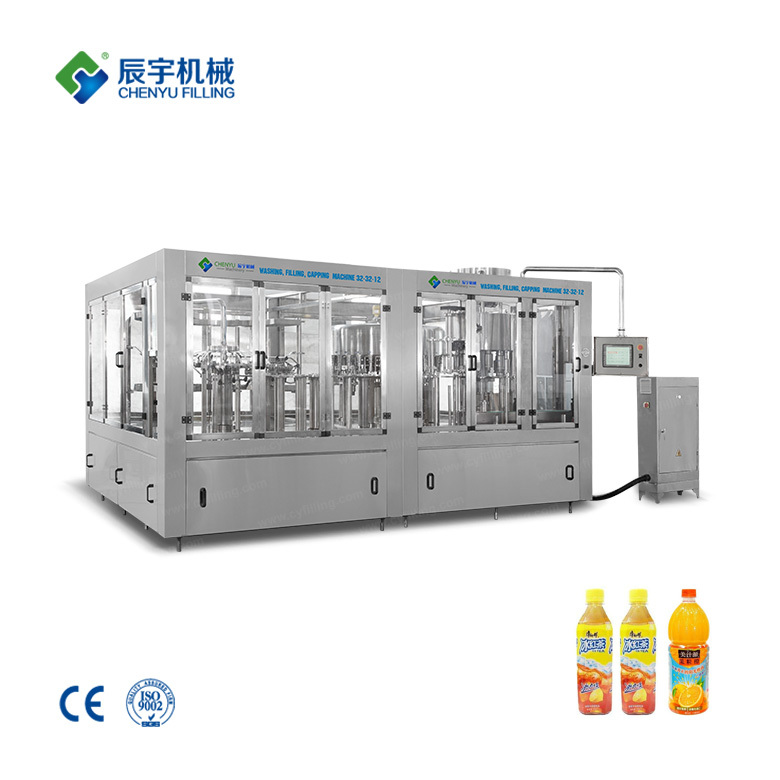 The tea beverage filling machine developed by Chenyu is the first choice for beverage manufacturers to choose tea production equipment.